Just regular folks. 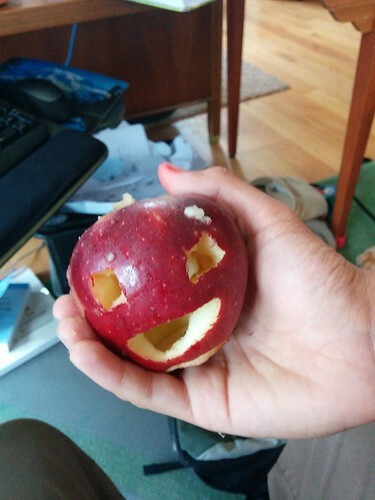 : Apple carving. Vince didn't get enough of pumpkin carving. 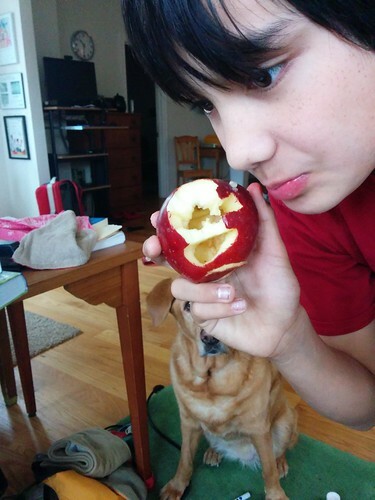 We've moved on to apple carving. You see Ruby in the background? She's waiting for the apple core. She and Maxi fight over apple cores. Going away. And coming home.